I am really not sure how long this deal is on for – there is a chance it might even be over tomorrow. 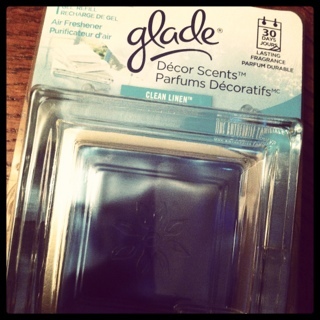 Glade Decor Scents are currently on sale for $2.00 at the Real Canadian Superstore. There is a coupon zone coupon out right now to save $2.00 on them and because it is a coupon zone coupon you don’t even have to pay the tax. Making them TOTALLY 100% FREE! The shelf was totally empty at our Superstore today but I manged to find a few on the end cap. Happy hunting! This entry was posted in free, superstore and tagged coupon zone, free, superstore on May 24, 2012 by Courtnie.